The barge which capsized near Nanga Ibau. Members of the BOMBA Scuba Unit getting ready to check the sunken barge for the two missing crew members. 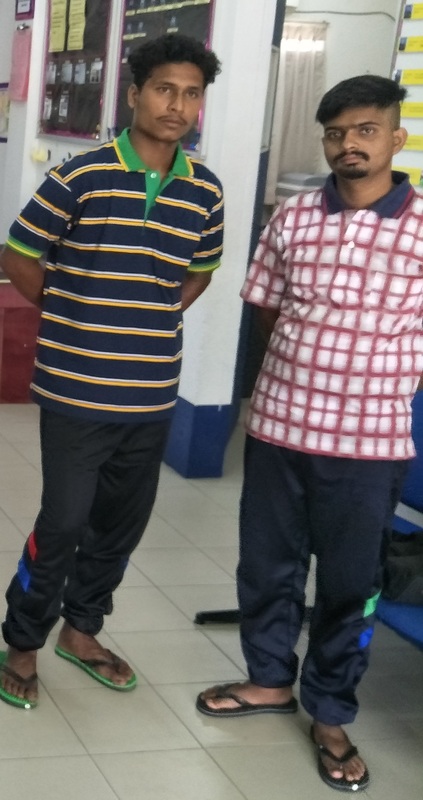 The two Indian crew members identified as Abhishek Kiran Jamdade (left) and Kasishna Radheshaayam Badi who are still missing after the barge they were working on capsized last Monday. KAPIT: The search for the two missing crew members of a barge which capsized continued yesterday when a team of scuba divers from the Fire and Rescue Department (BOMBA) here took part in a search and rescue (SAR) operation which entered its third day yesterday. 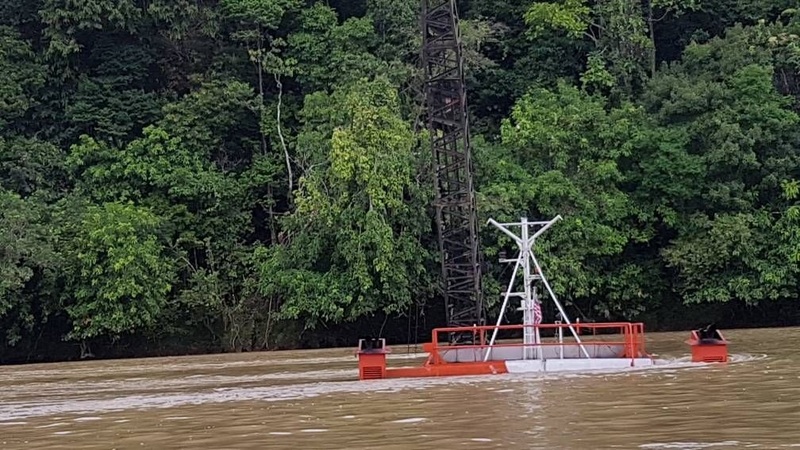 The cargo vessel excavating gravel identified as ‘Zim Yen’ sank at about 5.40am on Monday at Nanga Ibau, Rajang River located between Kapit and Song (about 30 minutes’ boat ride from Kapit). Of the seven crew members of the barge, five were saved but two went missing. The seven crew members comprise three Chinese and four Indians. The two Indian crew members reported missing have been identified as Abhishek Kiran Jamdade and Kasishna Radheshaayam Badi. Following the mishap, the Police and BOMBA Kapit launched a search and rescue operation in an attempt to fine the two missing crew members. 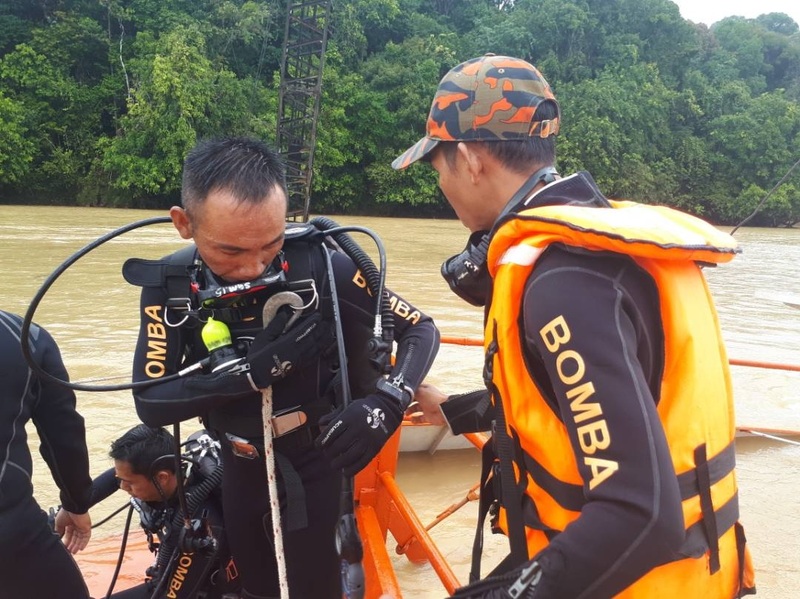 A BOMBA Kapit officer, Irwandy Tugor yesterday morning said that the first two days of search and rescue operation failed to locate the two missing persons. The search operation continued yesterday. He added that scuba divers also searched the sunken barge but failed to find the duo. “The water was muddy and the gravel has started to fill the barge making the operation more difficult,” Irwandy pointed out. Besides Kapit BOMBA and Police, Song BOMBA and Kanowit BOMBA also joined in the SAR operation. Search for two missing barge crew continues 0 out of 5 based on 0 ratings. 0 user reviews.